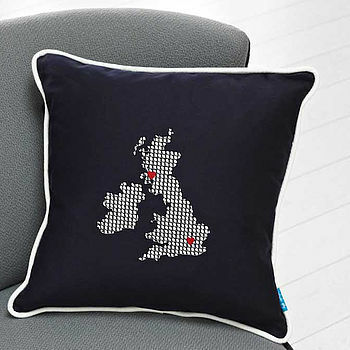 Kate Sproston Design create beautifully embroidered textiles for the home, all made in the UK. 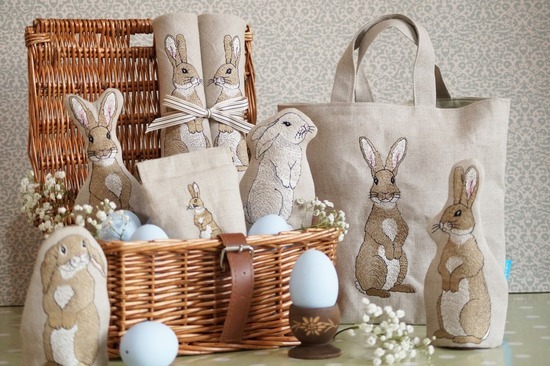 Having grown up with a love of embroidery, surrounded by handmade toys and gifts in a creative home, Kate has always understood the value of craftsmanship and a beautiful item made with love. This is why today Kate strives to incorporate this understanding of a high quality finish into every product in her collection. Drawing on experience within the textile field and as a freelance designer, Kate has demonstrated her hand embroidery skills in such prestigious settings as Fortnum & Mason, London. Now focused on opening up her love of embroidery to a new audience, her passion for both traditional and contemporary techniques are translated into fresh and modern designs for the home. Offering a range of interior products all handmade within the UK, Kate uses the highest quality materials available to create beautiful textile pieces. Attracted to bold motifs, clean lines and crisp colours, a product from Kate Sproston Design will be sure to add that special designer touch to any room. Visitors to the fair were asked to choose their favourite product from the shortlist of twelve for a chance to win the entire collection, we are very pleased to have won the award two years running. Embroidered Rabbit Egg Cosy Shortlisted for the Gift of the Year Award in the Craft & Design Category 2018. "We were given one and since then I've sent two to friends - nuff said!" "Gorgeous! Very good quality and I've been asked numerous times where I got it." "Absolutely gorgeous!! Very very pleased." 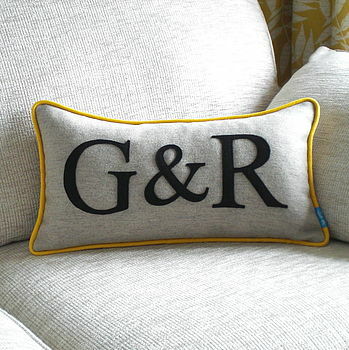 "Gorgeous cushions and great service - Item of a very high standard and would definitely order again." "Everlasting Crackers are a perfect gift..."
"Featured as part of the "Six of the Best Crackers" article." 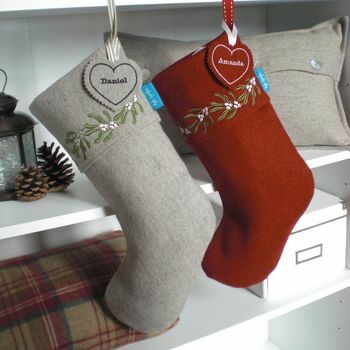 "Cute and easy to personalise, they'd be the perfect addition to any festive table. 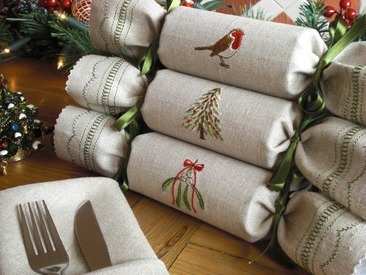 (Woodland Reusable Crackers)"
"Featured in the "Lisa Swain transforms her lounge with the help of notonthehighstreet.com" article." 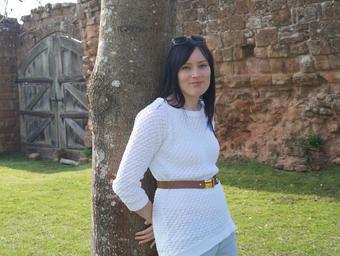 All items are handmade in the UK with estimated dispatch of 2-3 working days from placement of order. Free delivery is offered on most items over £30 and will be sent via Royal Mail Second Class Delivery or Hermes. Estimated delivery at 1-3 working days from date of dispatch. Delivery details are available on each product page but if you require faster delivery we do offer an express option on most of our products. Please do not hesitate to contact us for further information and we will try to accommodate your needs. A signature will be required for larger items upon receipt, with any items returned to the studio incurring an additional cost for re-delivery. Please note delivery times are estimated. Tracking details will be added upon dispatch of your order if applicable. Please ensure the delivery address is correct at the time of ordering. We can not he held responsible for non-delivery due to incorrect/partial address. Each of our beautifully embroidered products is made using 100% natural fabrics, occasionally resulting in slight irregularities in the weave. These little imperfections add to the overall design and are not considered a fault. We strive to portray our products as accurately as possible through photographs, but we can not guarantee the colour resolution displayed on each individual computer is accurate to the finished item. Fabric shades may also vary slightly due to dye batches. Therefore, if you would like a sample of our fabric for colour matching purposes, please contact us and we will be more than happy to help. Personalised items are non-refundable unless deemed faulty. 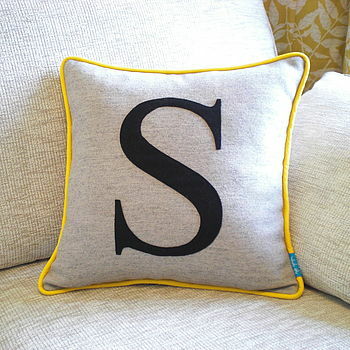 Upon placing an order the buyer confirms all personalisation including spelling is correct.